Annie and Melissa twittered back and forth about this plant, mentioning Elizabeth Lawrence while they were at it. So I went to see what she is noted as saying about the Winter Honeysuckle. Quoted from her book, which is on google. This opinion is in the same category as those about lilacs. While true, it doesn’t convey the sentimental and perhaps irrational love for a plant with a certain fragrance at a certain season. 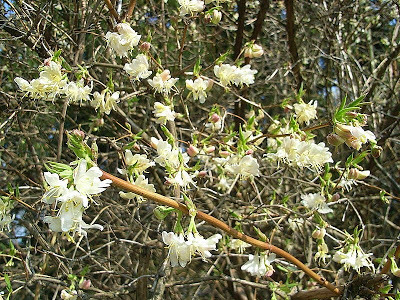 The winter honeysuckle is a plant that grows big and has rather dull leaves and tiny flowers… that part is entirely true, but the sweet lemony fragrance that lightly, but flirtatiously, floats on the air in the late winter is a beautiful thing. One that I look forward to each year. It was quite garden friendly when I grew it in the back of my city garden, by the alley fence. It was planted under the big old sweet cherry tree that was part of the garden when I moved there. Now I have a large hedge of several plants that are at the back part of my drive. They suffered dieback one year and I cut them all down to the ground- they have now resumed their six foot stature. It is a personal choice, but I very much love them and think they ought to be part of a garden that holds fragrance as an important factor. But then, I grow lilacs, too. Also mentioned here, and here; and in Spring Blooming Plants . Furthermore, it must be noted that I have had to cut it back to the ground several times as it has aged. There can be a problem with dieback, particularly due to extremely cold winters. Not normally a problem in Zone 5 (where I garden), but enough to be said. Something official from Auburn U. 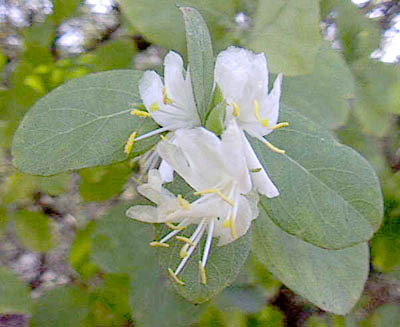 (the photo above and more on this plant ID page). 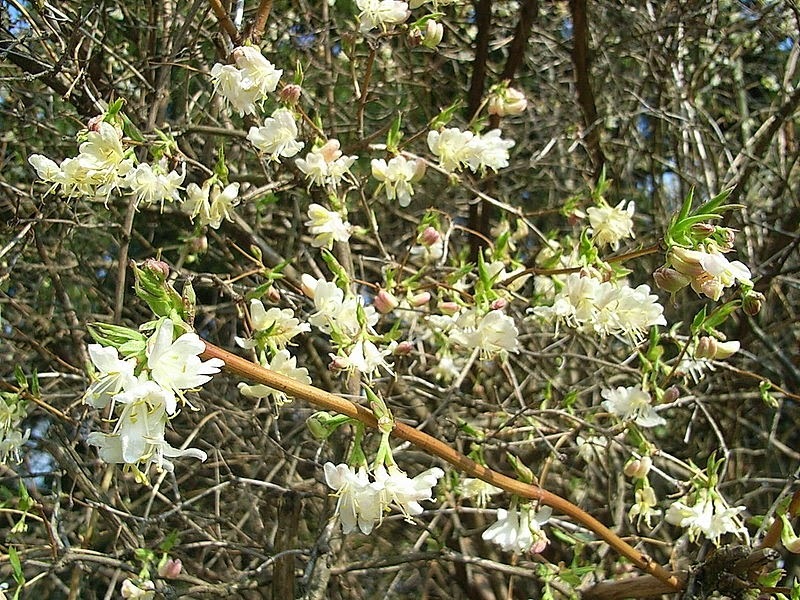 Fine Gardening gave it a mention in their good article on winter plants, all blooming early in spring in my Zone 5a climate.